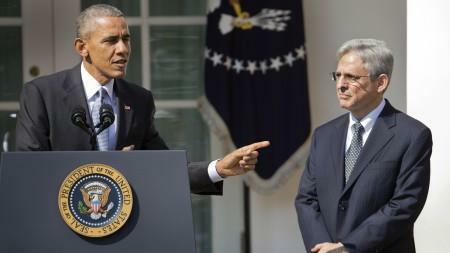 Judge Merrick Garland is President Obama’s nominee for the vacant Supreme Court seat. Given that the high court is set to rule on President Obama’s executive orders on immigration in June, the question that presents itself is: What are Merrick Garland’s views on immigration and how might he vote on expanded DACA and DAPA? With Justice Scalia’s passing, one vote can make an enormous difference, impacting the fate of Obama’s Immigration actions significantly. Immigration clients eligible for expanded DACA and DAPA are understandably waiting with nervous anticipation. Although Judge Garland has not made his views on immigration known, based upon his past rulings in other areas of law, a tentative conclusion may be drawn as to how he may likely rule on Obama’s immigration order. As a judge on the D.C. Circuit Court of Appeals, Garland has generally been deferential to the executive branch’s interpretation of statutes and has upheld the Obama administration’s interpretations on numerous occasions. The immigration lawsuit facing the Supreme Court is at its core a question about whether President Obama and the administration correctly interpreted the law. As a consequence, there is reason to believe that if Garland were to rule on this case, he may very well side with the administration, which would be a victory for the extended DACA and DAPA programs. It is important to note that Republicans are currently deciding if they will even relent to considering Obama’s nominee. Even if Republicans concede and decide to give Garland a hearing, he would have to be confirmed expediently in order to hear the immigration case, which is scheduled for April 18th. We urge interested individuals to continue to review the Shulman Law Group blog for updates regarding the Supreme Court hearings and what will transpire regarding Justice Scalia’s replacement. The Shulman Law Group is poised to assist any eligible immigration clients with their DAPA and extended DACA applications should the Supreme Court rule in the administration’s favor regarding President Obama’s Immigration Executive Orders.